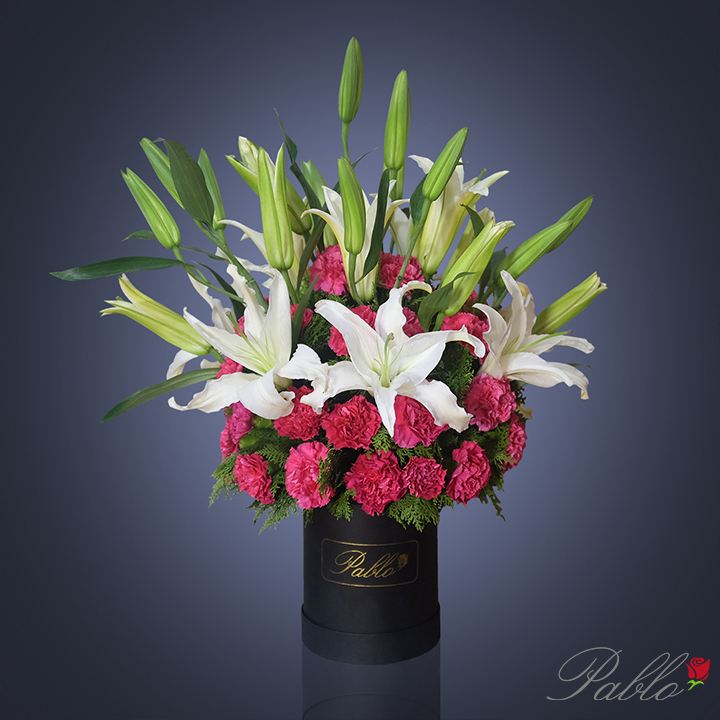 5 stems of casablancas elegantly arranged with fuchsia pink carnations and greens in our signature black bucket. This arrangement will surely fill the room with the scent of flowers. Please order at least 1 day ahead for availability. If you need to request delivery sooner, kindly contact us thru SMS / Viber / WhatsApp: +63917 1148917.